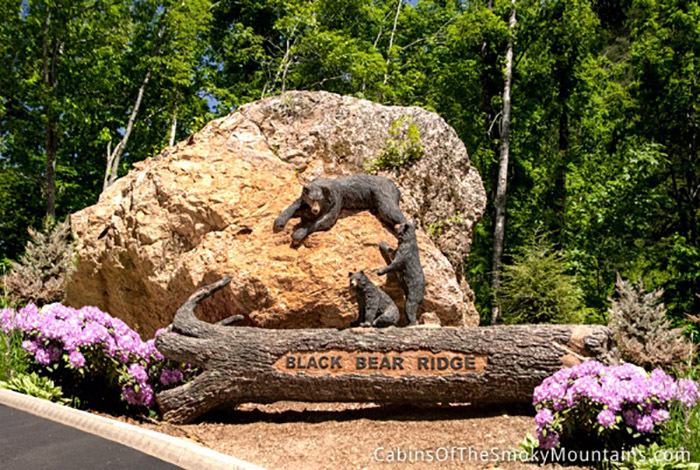 Soaring above Black Bear Ridge Resort is Eagles Nest, an ideal setting for your upcoming family gathering. 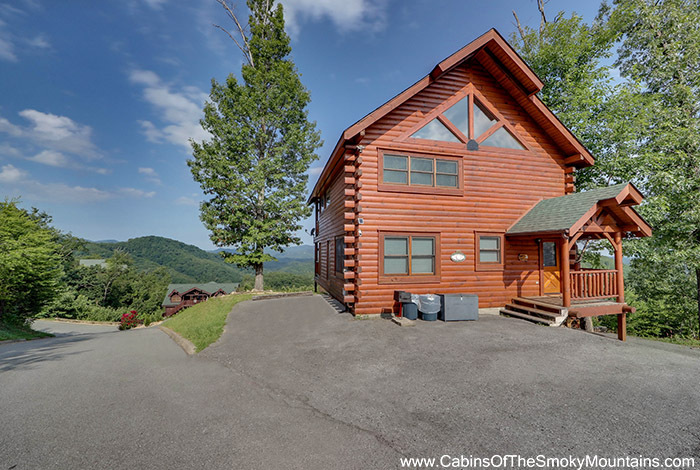 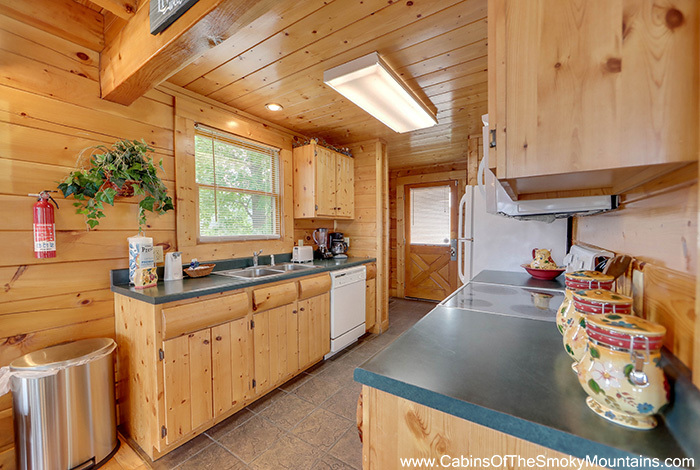 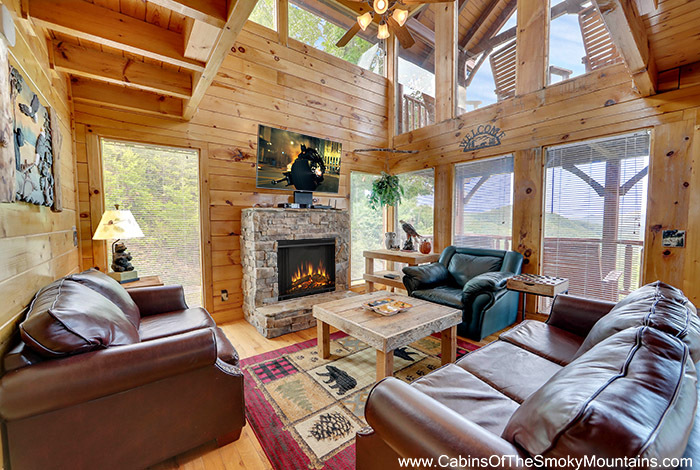 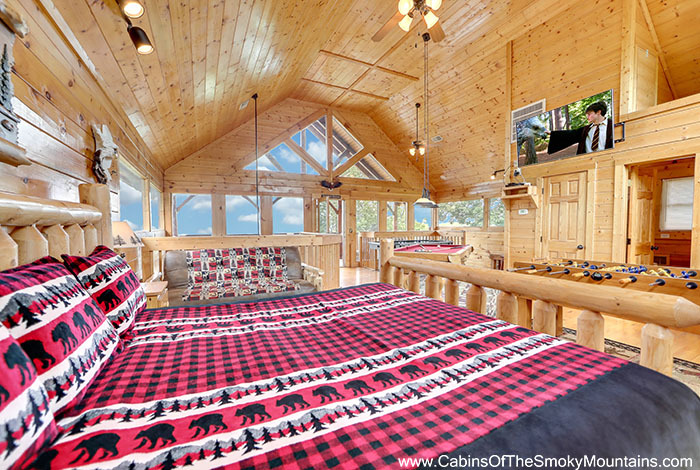 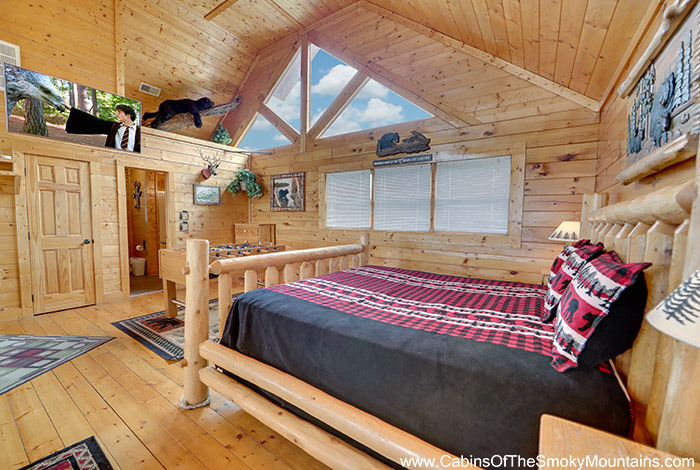 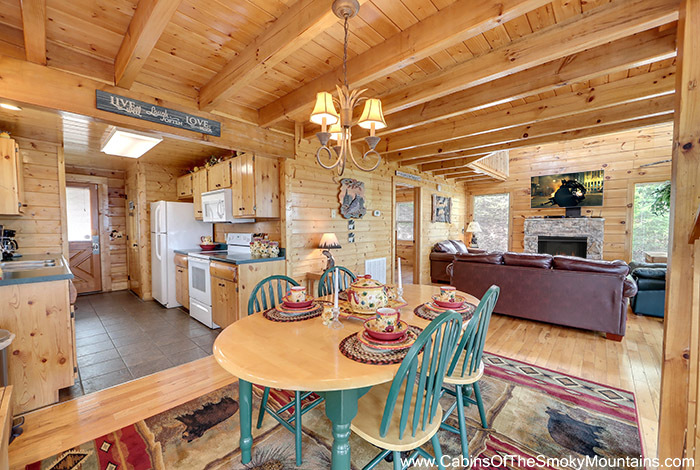 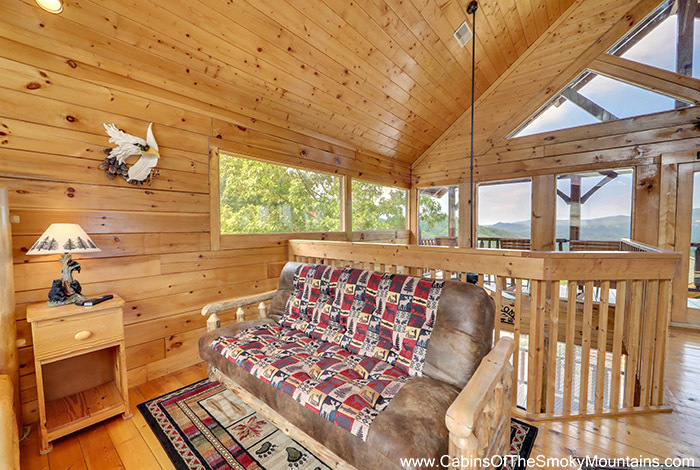 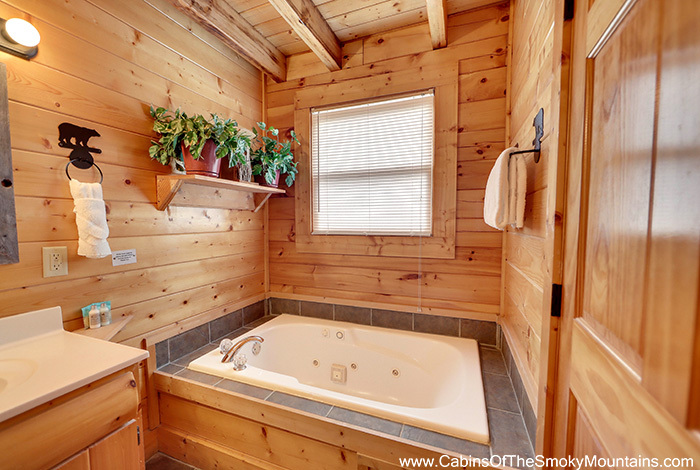 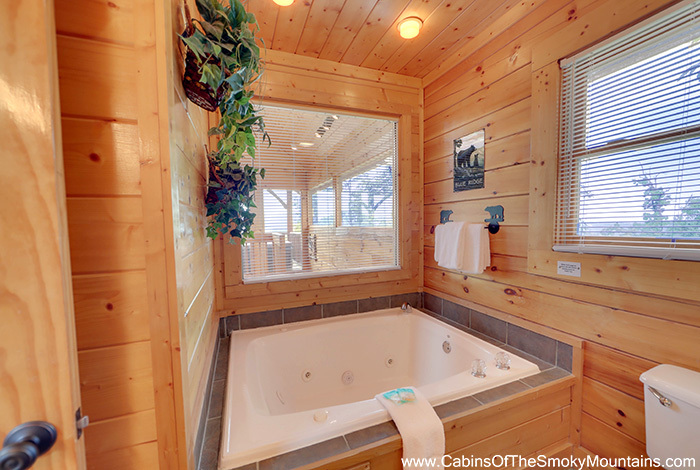 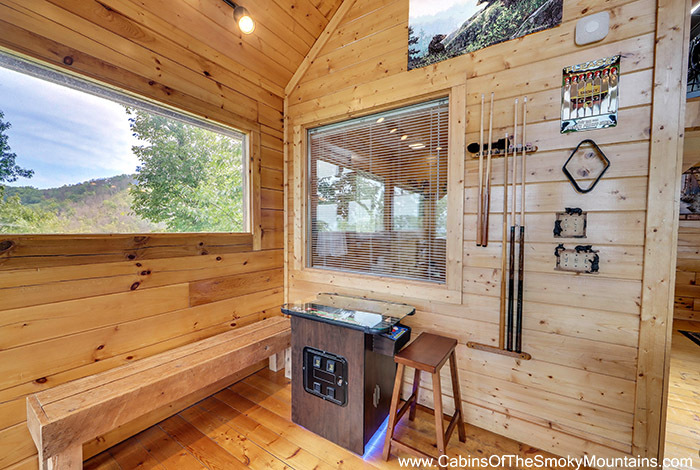 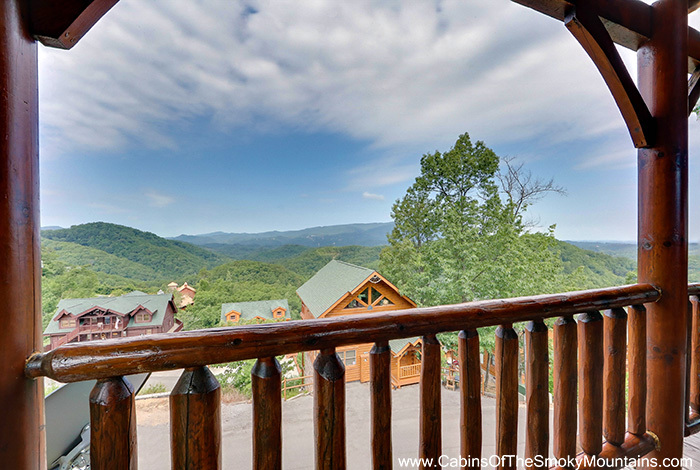 Featuring lovely, picturesque views of the mountains, this Pigeon Forge cabin provides comfortable accommodations for up to 8 people. 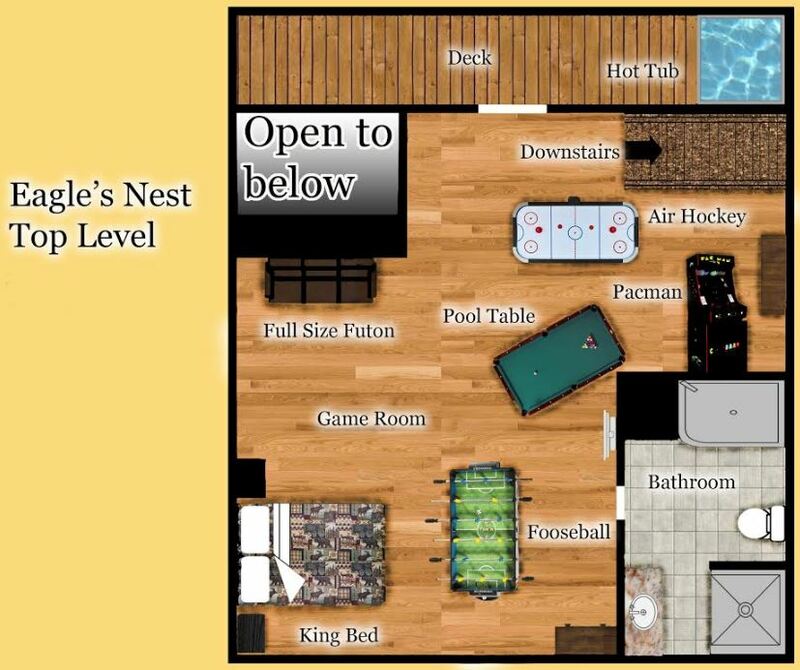 And there's plenty of space to relax or play, whatever your pleasure. 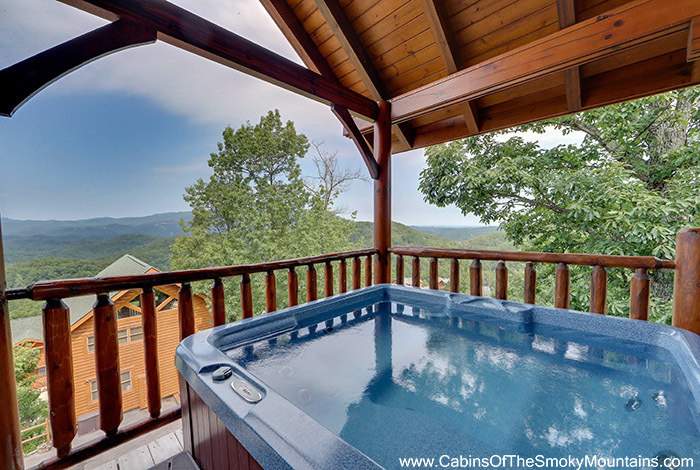 Hot tub on deck overlooking mountain views along with a row of rockers to relax and enjoy the sunset. 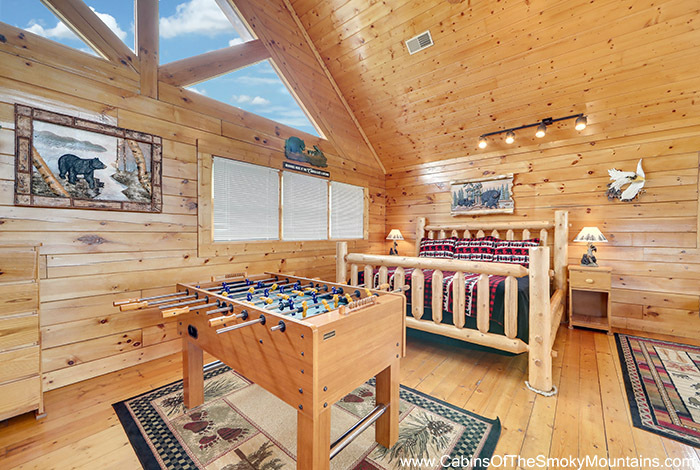 Play a game of pool or challenge the kids to a round of foosball. 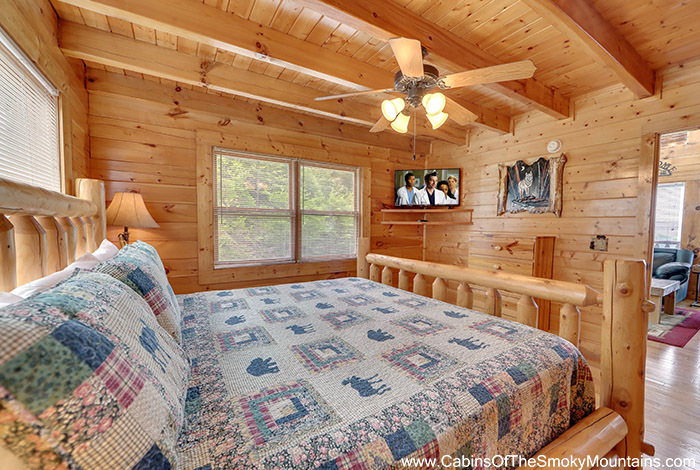 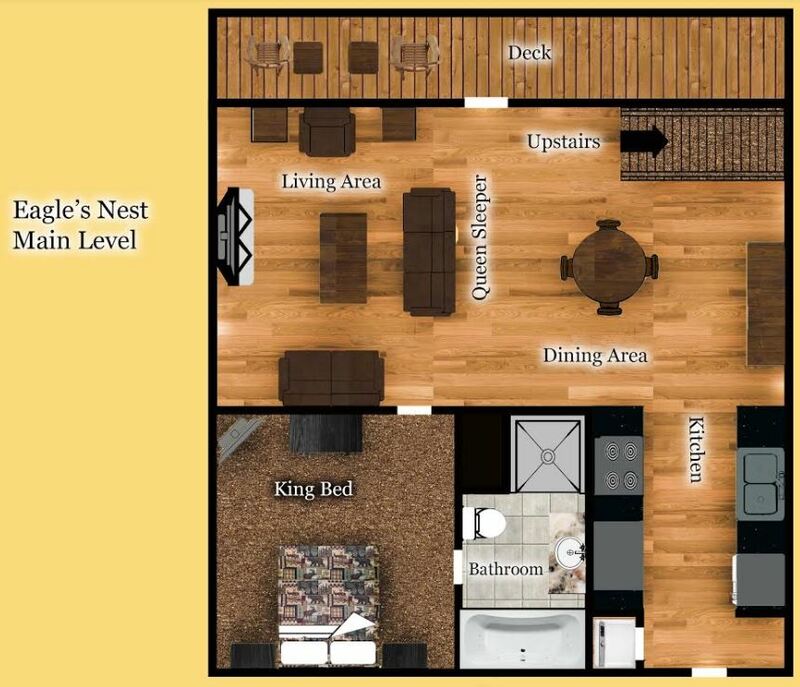 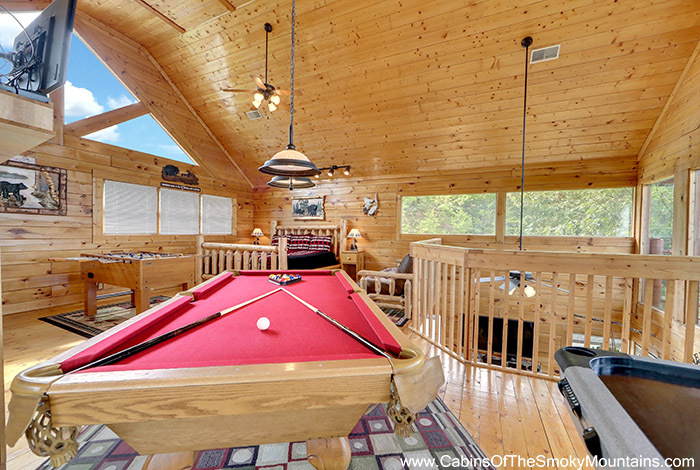 Eagles Nest, just minutes from downtown Pigeon Forge and Gatlinburg, where luxury meets the Great Smoky Mountains!